••Saturday•, 17 •March• 2018 09:15•	??EPSCadmin?? The power hitting Eagle Pass Lady Eagles’ varsity girls’ softball team continued their respective Spring Break softball schedule on Thursday, March 15. 2018 by hosting the current district co-leading San Antonio Southwest Lady Dragons in a 2:00 PM District 29-6A softball diamond marquee matchup at the Eagle Pass ISD Student Activity Center with the Loyal Legion of Lady Eagles followers and supporters in attendance. The visiting Lady Dragons ventured into this key matchup sporting an unblemished district mark of 5-0 while the home standing Lady Eagles entered sporting a district record of 3-2. ••Saturday•, 17 •March• 2018 09:11•	??EPSCadmin?? ••Thursday•, 15 •March• 2018 06:06•	??EPSCadmin?? The Eagle Pass Eagles varsity boys baseball squad under the tutelage of head coach Reynol Mendoza and assistant coaches Henry Silva and Chris Villa resumed their Spring Break schedule on Wednesday, March 14, 2018 when they entertained the South San Bobcats in a 2:00PM District29-6A baseball diamond encounter at the Eagle Pass ISD Student Activity Center Polo Moncada Baseball Field. Back in the 1950’s, 60’s and 70’s these two tradition rich high school baseball programs put on some legendary hard fought matchups against each other. This year’s encounter between these two programs had the atmosphere of a playoff game. ••Thursday•, 15 •March• 2018 06:01•	??EPSCadmin?? The marquee matchup in District 29-6A took center stage on Tuesday, March 13, 2018 when the Eagle Pass Lady Eagles softball squad entertained the perennially tough Laredo United Lady Longhorns in a key 12:00 Noon District 29-6A softball diamond matchup at the Eagle Pass ISD Student Activity Center softball field. Both teams entered this key contest sporting identical district marks of 2-2. ••Thursday•, 15 •March• 2018 05:58•	??EPSCadmin?? ••Thursday•, 15 •March• 2018 05:50•	??EPSCadmin?? ••Thursday•, 15 •March• 2018 05:47•	??EPSCadmin?? The Eagle Pass Eagles varsity baseball squad mentored by head coach Reynol Mendoza and assistant coaches Henry Silva and Chris Villa resumed district play on Monday, March 12, 2018 with a road trip to Laredo, Texas to angle with the Laredo LBJ Wolves in a 2:00 PM district diamond encounter at the United ISD Student Activity Center.. The visiting Eagle Pass Eagles brought their hitting shoes out for this game scoring early, often, and late enroute to a convincing 11 to 0 two hit shutout with the Eagles pitching trio of starter and game winning hurler Edward Mendoza and relievers Eric Heredia and Victor Perry combining their efforts on the mound to toss a complete game two hitter. ••Tuesday•, 13 •March• 2018 05:56•	??EPSCadmin?? The mighty C.C. Winn Lady Mavericks varsity girls’ softball squad mentored by head coach J.J. Iracheta, Jr. and assistant coaches Tony Martinez, Johnny Hernandez, Corina Benavedez and Roly Salinas kicked-off their respective Spring Break schedule on Monday, March 12, 2018 with a road trip to Pearsall, Texas to tangle with the Pearsall Lady Mavericks in a high noon non-district softball diamond encounter. ••Tuesday•, 13 •March• 2018 05:54•	??EPSCadmin?? The Eagle Pass Eagles varsity baseball team mentored by head coach Reynol Mendoza and assistant coaches Henry Silva and Chris Villa hit the road once again on Thursday, March 8, 2018 for a trip to the Alamo City of San Antonio, Texas to compete in the high caliber three-day San Antonio Baseball Classic Tournament. ••Tuesday•, 13 •March• 2018 05:49•	??EPSCadmin?? The C.C. 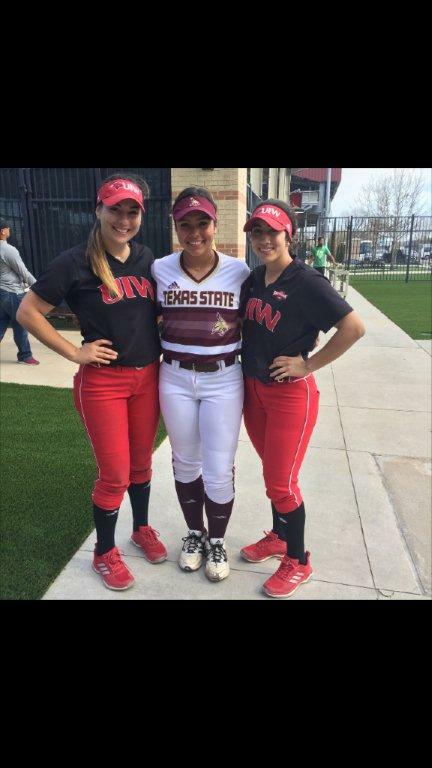 Winn Lady Mavericks varsity girls’ softball squad under the leadership of head coach J.J. Iracheta, Jr., and assistant coaches Tony Martinez, Johnny Hernandez, Corina Benavidez and Roly Salinas hit the road on Thursday, March 8, 2018 for a trip to San Marcos, Texas to compete in the three day San Marcos Spring Break Classic Softball Tourney. The Pride of Southern Maverick County played a total of six games at this tournament against some quality competition winning three of those games but just as easily could have won all six. 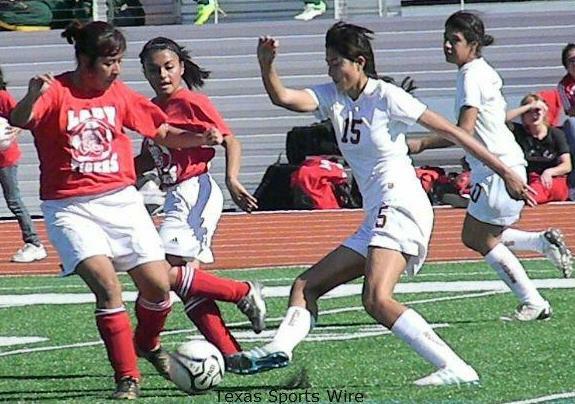 The Lady Mavericks thus improve their overall season record to 14 wins with 7 losses.